Karl Benz (1844-1929). 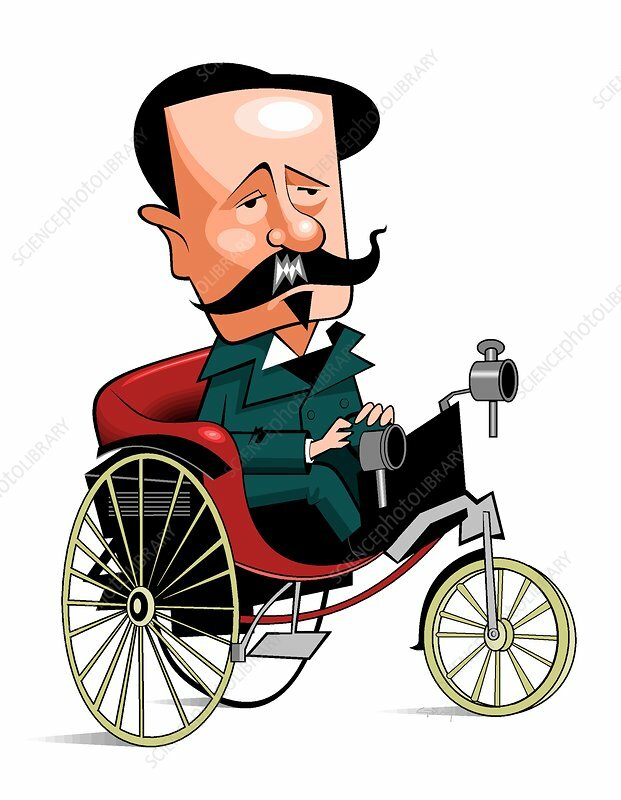 Caricature of the German engineer Karl Friedrich Benz. Benz is best known for developing various automobiles and as the founder of the company that went on to become Mercedes-Benz. His first company was set up to manufacture machine tools, but by 1877 Benz was experimenting with two-stroke petrol engines. He produced his first car in 1885, and by 1893 was manufacturing four-wheeled automobiles under the name of Benz & Cie (Benz & Companie Rheinische Gasmotoren-Fabrik). Benz left the company in 1906, but it went on to merge with Daimler-Motoren-Gesellschaft (DMG, Daimler Motors Corporation), forming Mercedes-Benz.